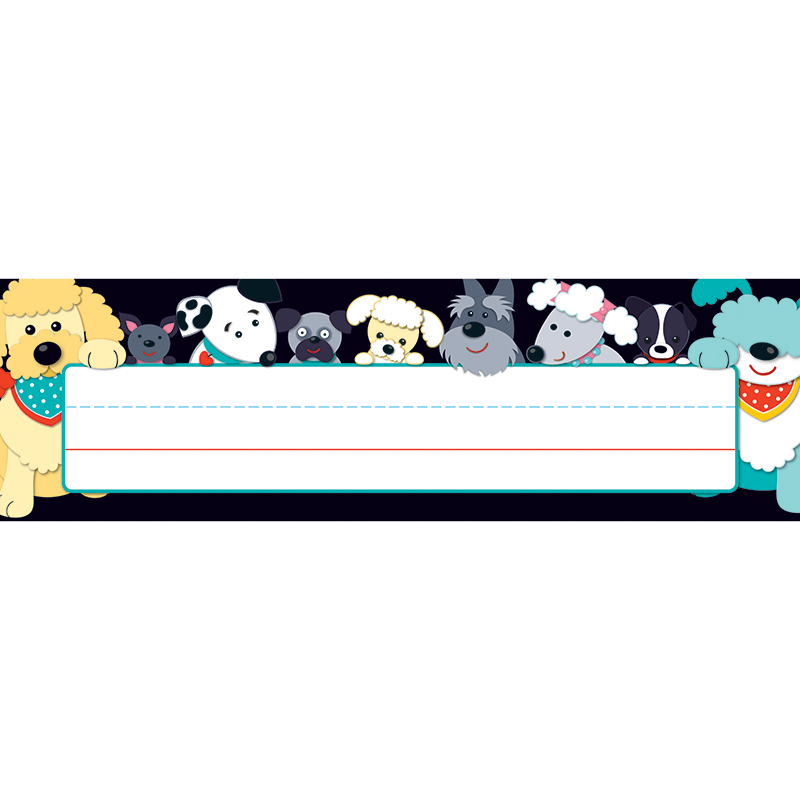 Welcome adorable furry friends into the classroom with Hot Diggity Dogs nameplates featuring playful characters with contrasting colors and contemporary patterns! These convenient nameplates are ideal for desk or cubby assignments or for labeling and organizing your classroom. They can easily be repositioned over and over again! Look for coordinating products in this character theme and a full assortment of coordinating color pallet designs to create an exciting classroom theme! Pack includes 36 nameplates measuring 9.5" x 2.875" each.